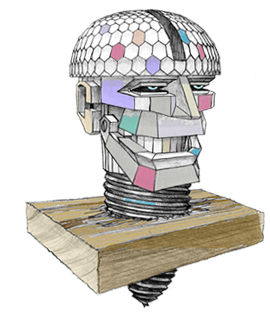 Announcing XENOVISION LIVE! 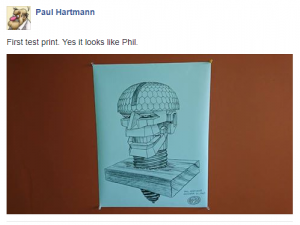 The web cast – it’s all about XENOVISION this week, the company formed by Phil’s brother, Paul Hartmann that will be producing two of Phil’s animated characters – The Secret World of Edgar Screw Head and YOGI AND THE KID. Learn about all our projects and chat with TEAM XENO every Monday at 7pm Pacific/9 Central. Joan Chandler’s work in educational alternative theatre — mostly in rural communities for small audiences — is in a different league, she said, from many of the works considered for the award she’ll accept in Brantford Saturday night. So the Kemble-based artistic director of Sheatre was surprised to learn she was in the running and even more shocked when she was chosen for the first-ever Phil Hartman Arts and Humanitarian Award. The award is named for the Brantford-born actor who died in 1998. He was best known for his time during the late 1980s as part of the cast of Saturday Night Live. Phil Hartman For Canada’s Walk of fame 2011! 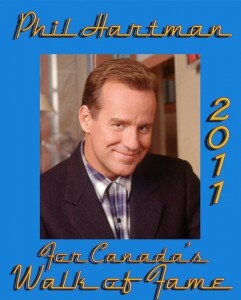 Phil Hartman For Canada's Walk of fame 2011! Please cast your vote today for Phil Hartman’s long overdue star on Canada’s Walk of fame! An interesting, if not scary article about a robot snake that can climb trees!